My kids have grown up. I know this because I’m banging away on a keyboard in Haverstraw, NY, right now, when I should be on the way home from Cooperstown. Pull up a chair, kids, and I’ll tell you all about a grand tradition that began in October of 1987, when Josh was 8 and Ben was 2 and Josh and I decided to have a baseball weekend, just us guys, no mom, no baby brother. We’d drive to Cooperstown on Friday night, when I got home from work, and check into a motel for a couple of nights. 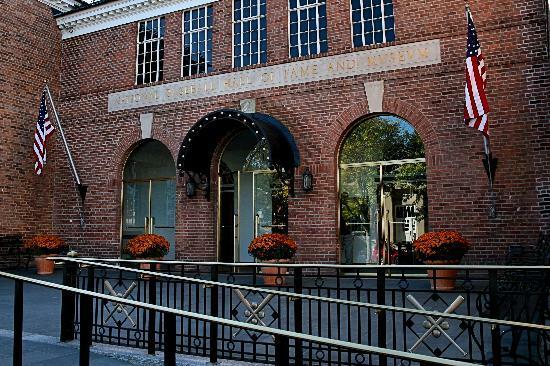 We’d spend all day Saturday at the Hall of Fame, then head to Brooks’ Diner in Oneonta for some chicken and ribs, and then return to our motel room to watch Game Six of the World Series. Just the two of us. And there would be a brief but essential stop at a convenience store on the way back to motel from Brooks’, so we could pick up some essentials for watching the game. All involving excessive amounts of sugar and salt. There was one ground rule: Anything goes. You want it, we’ll buy it. Chips, candy, soda, Twinkies, whatever. We’re guys. We snack till we’re sick. The next morning, we’d have breakfast somewhere, then doughnuts at Snyder’s Bakery, and then we’d head back home, stopping en route to pick up a Halloween pumpkin or two.